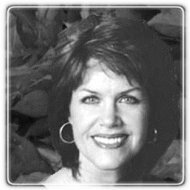 Laguna Hills Therapist: Piper Glasier - Therapist 92653. Send A Message To Dr. Glasier. I help my clients access a sense of authenticity to replace some of the defensive postures they have developed out of a need to cope in an environment growing up over which they had little control. I encourage clients to move toward health at their own pace. We establish together whether once-a-week sessions will be satisfactory or whether meeting multiple times a week might provide better containment and promote deeper, faster results. I create an atmosphere where self-exploration feels creative, safe, and individualized. I have extensive experience and training in marital therapy and have had success (in conjunction with the hard work and motivation on the part of the couple) in helping to transform deeply troubled marriages into relationships that feel meaningful and satisfying. I welcome clients of any spiritual persuasion, and because I have functioned within church fellowship circles, I have insight into the messages and issues that arise from this setting. I have completed a doctoral program in psychoanalysis and encourage exploration of issues in a more in-depth manner, rather than attempting only to eliminate or control symptoms. My fee is $150 per 45 minute session. Slight adjustments in my fee are available for young adults and those in financial need. I am an 'out of network' provider and receive payment each session and provide the necessary receipt for submission to PPO insurance companies. I accept check, cash, or VISA and Mastercard.